The Italian Wine Scholar™ education program is an Italian wine course designed to provide committed students of wine with the most advanced and comprehensive specialization study program on Italian wine bar none! It was created by native Italian, Maurizio Broggi, DipWSET, FWS, CSW with the support of the Italian wine DOC/G consortia. The Italian Wine Scholar™ study program mirrors the unparalleled level of depth, accuracy, detail and academic rigor offered by the acclaimed French Wine Scholar™ program. Like the French Wine Scholar program, the Italian Wine Scholar study and certification program also confers a post-nominal to wine professionals and enthusiasts who successfully pass the certification exams (Ex: John Smith, IWS). 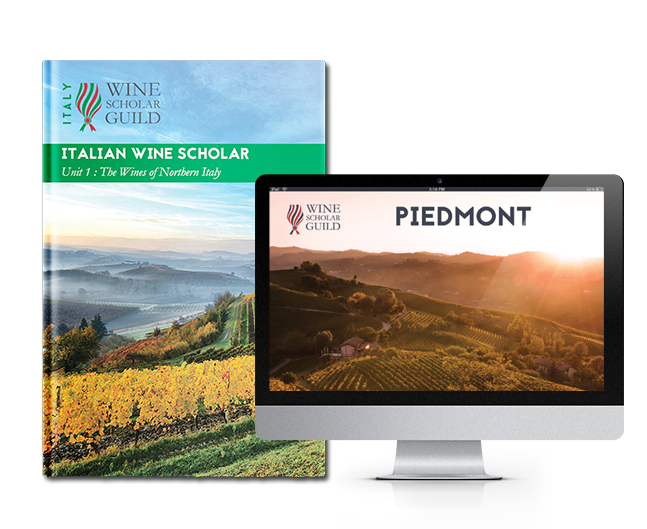 Earn the Italian Wine Scholar™ (IWS) post-nominal online via the independent study format or enroll in the 15-week instructor-led format with live webinars. PLUS: 9 live review webinars with acclaimed wine educators Ciro Pirone, IWS, IWP and Maurizio Broggi, DipWSET, FWS, CSW for those following the program in its 15-week, instructor-led live online format. The Italian Wine Scholar™ program is offered by the Wine Scholar Guild's approved program provider network which now includes 50 wine schools in 20 countries and five continents. Each unit of the Italian Wine Scholar™ program is offered as a series of 4 to 8 wine classes with tutored tasting. Register now with your local wine school! There will be two separate study manuals and two separate exams. The Italian Wine Scholar™ credential/pin is based on the final composite score (Unit 1&2). This format makes it much easier to retain information and to pass the exam. Students register for each unit separately. We highly recommend that students complete one unit before moving on to the next. The units can be taken in any order. FAQS: Why is advanced Italian Wine Study so complex? "I am very impressed with the first edition of the Italian Wine Scholar Unit 1 study manual which is well researched and thoughtfully laid out. [...] I would recommend the Italian Wine Scholar study program for anyone who really wants to learn about the complex and fascinating wine regions of Italy." Modeled after the French Wine Scholar™ program, Italian Wine Scholar™ students will receive the same complete set of study materials… times two (one set for each Italian Unit)! PLUS: Access to live and recorded review webinars with Maurizio Broggi, Italian Wine Scholar Education Director for those following the program in its 15-week, instructor-led online format. This extensive list of study resources will empower students to learn and gain a profound working knowledge of the complex and diverse world of Italian wine. "Committed students of wine will love the Italian Wine Scholar manual. It’s exhaustive coverage of Italy’s regions, grape varieties and wine styles will only make you thirsty." The Italian Wine Scholar manuals follow a regional approach with strong tie-ins to terroir. 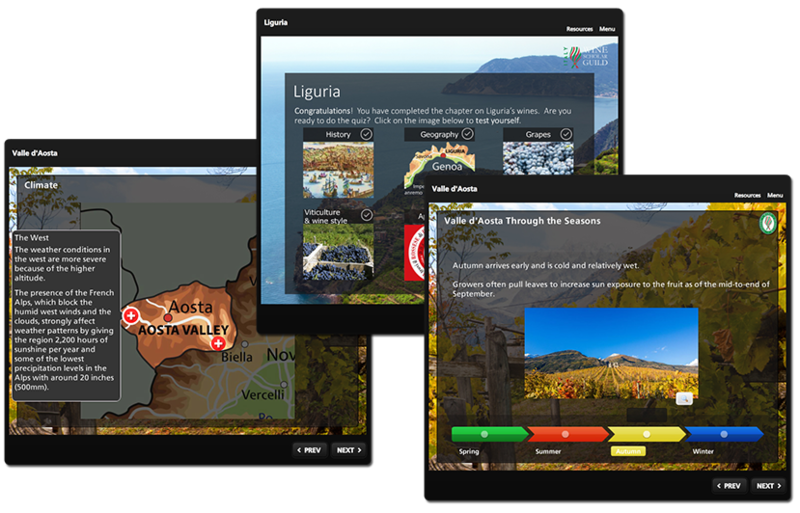 Each chapter is designed for maximum content retention and utilizes a systematic approach, allowing the student to compare and contrast each of the Italian wine regions. Manuals are current and discuss the most recent trends. They are printed in full-color, are rich in imagery and peppered with the iconic wine labels of each region. 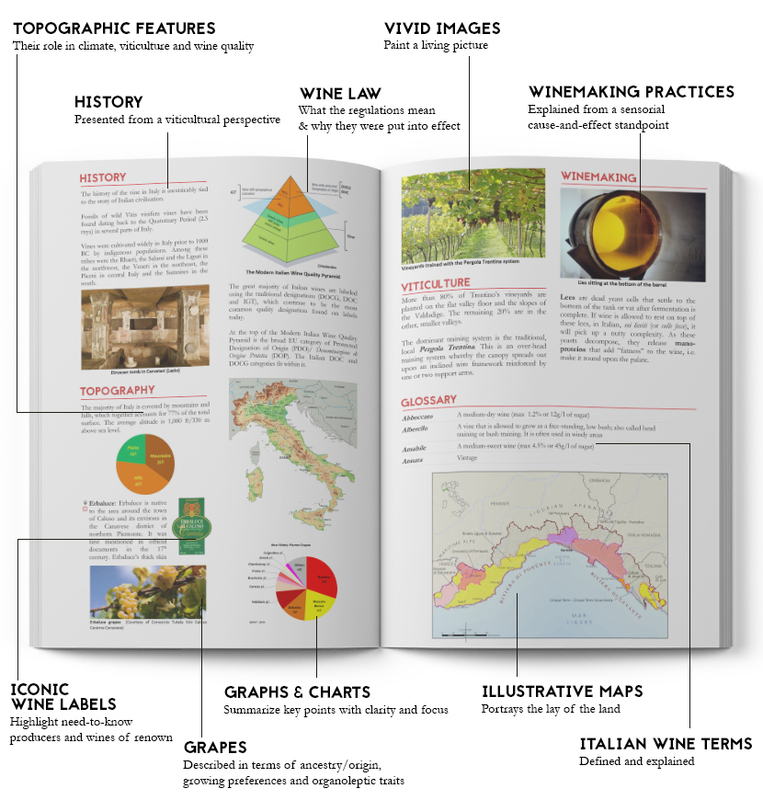 A Foundation Unit provides an overview which pulls all of Italy and its wines into perspective. FAQs: What information is covered in the program/study manuals? SET YOURSELF APART FROM YOUR PEERS. SPECIALIZE IN THE WINES OF ITALY! Individuals who follow this in-depth Italian wine education program and pass the exam, earn the Italian Wine Scholar post-nominal which may be incorporated into a professional signature (e.g. John Smith, IWS). The exam for each unit is composed of 100 multiple-choice questions. Candidates need a composite score of 75% to receive the credential, i.e. the scores from both exams are added together and averaged for final assessment. "Italian Wine Scholar Unit 1 is a superb resource to study and dig deep into the wines of Northern Italy. I’m looking forward to your release of Unit 2!" IWS candidates are both members of the wine trade and serious wine hobbyists seeking specialization and certification. How does this program complement other, more general wine study programs? Why study Italian wine with us? The IWS study manual has already received many words of praise by wine professionals including Nicolas Belfrage MW, Ciro Pirone, Jeannie Cho Lee MW, Craig Locascio, Paul Wagner, Peter Marks MW. See the full list of kudos HERE. Maurizio Broggi, DipWSET, FWS, CSW, Italian Wine Scholar Education Director, brought his academic acumen to the Wine Scholar Guild to build the IWS program. He achieved the highest score in the world for WSET level 2 and was also one of the top scorers for Diploma level. 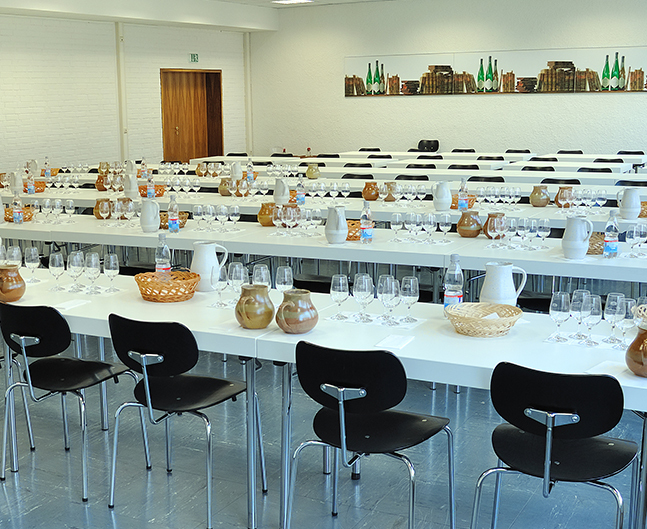 Wine Scholar Guild (WSG) study programs have been taught internationally to over 10,000 of students of wine! WSG student evaluations have been very positive; students love learning with our innovative and multi-faceted educational tools. In the 10 years since its inception, the Wine Scholar Guild has become the world leader in specialization programs on the wines of France. We aim to do the same for Italy! How does this program complement other, more general wine study program? The Italian Wine Scholar program is a great resource and supplement for students of wine moving toward advanced general wine study programs such as WSET Diploma (level 4), Master of Wine, Court of Master Sommeliers’ Advanced Sommelier (level 3 and up) or Society of Wine Educator’s Certified Wine Educator (CWE). Many of these programs ask their students to do extensive independent research in order to study for their exam. To this end, the Italian Wine Scholar program serves as an advanced and comprehensive study supplement to help them master the complex wines of Italy. "A thoughtful and concise manual like the Wine Scholar Guild’s “Italian Wine Scholar Unit 1” can be an invaluable tool vital to a student’s success in learning about the world’s most diverse wine country." 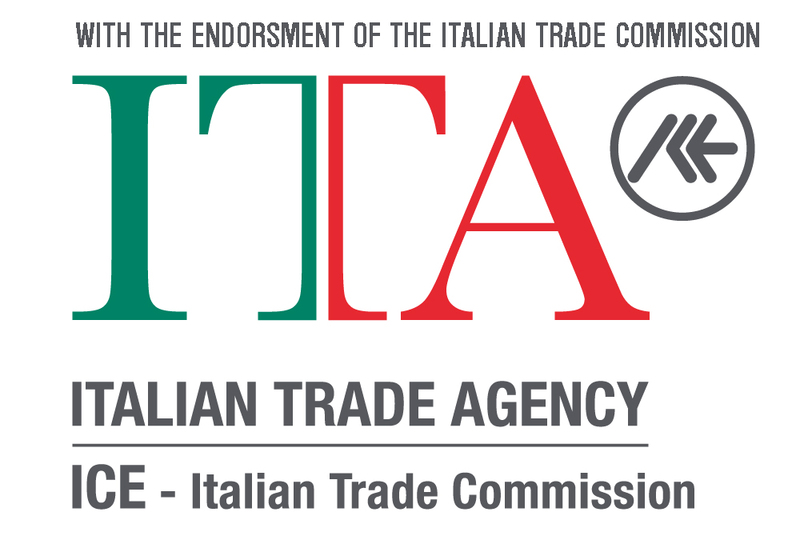 "We are delighted to support this educational program dedicated to the Wines of Italy"
"I nostri complimenti per il Vostro lavoro: eccellente"/“Our compliments for your work: excellent"
The manual is really well-made, the information on the territory very detailed and accurately researched."